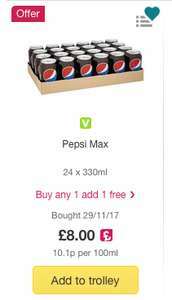 Ocado have a buy one get one free on soft drinks at the moment and Pepsi max is current £8.00 for 24 330ml cans but with BOGOF becomes 48 cans for £8.00. 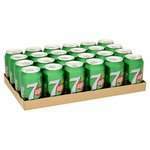 The others are all £10 for 24 cans which on BOGOF becomes a still reasonable 48 for a tenner. Have done an edit which hopefully makes it clearer. Was rushing it a bit. Me too on the regular Pepsi I thought that was 8.00 too. £4.99 for 24 cans at Lidl right now - save a penny AND enjoy the exercise of lugging them home on your shoulder! Just Ordered 16 Cases of pepsi max for £48.00. £2.80 a case and £0.11.6 p a can. Great deal as had a 30% off voucher and free 1 year delivery for new customer. Anyone got some and know expiry date on these? I will update you in the morning when they arrive 11.00am I think. 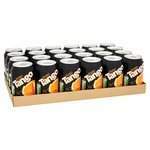 6 cases ordered = nxt 3 months of diet pop sorted! Heat!! Just Ordered 16 Cases of pepsi max for £48.00. 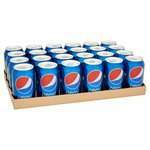 £2.80 a case and £0.11.6 p a …Just Ordered 16 Cases of pepsi max for £48.00. £2.80 a case and £0.11.6 p a can.Great deal as had a 30% off voucher and free 1 year delivery for new customer.Have some heat. £4.99 for 24 cans at Lidl right now - save a penny AND enjoy the exercise …£4.99 for 24 cans at Lidl right now - save a penny AND enjoy the exercise of lugging them home on your shoulder! Yep I only drink Pepsi max and filtered water. I set up a new account and when I try the 30% code I get told the products do not qualify. What code did you use? Sorry don’t know as was showing for use once I signed in. So did not take much notice. Mine have an exp date of July 2018. All 16 cases. Still on offer and in stock for me, but does seem to be affected by your area and demand as mine was OOS a few days ago.